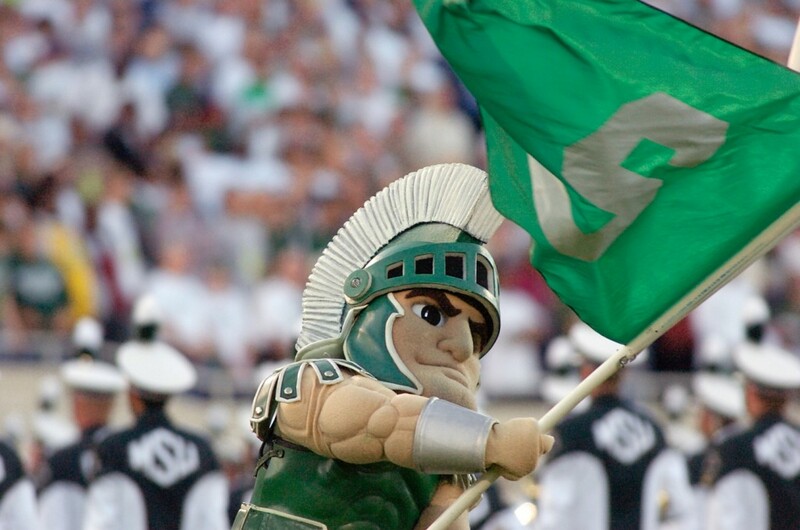 Unless you&apos;ve been hiding under a rock, you have to know that the big rivalry game is ON for this Saturday when the MSU Spartans take on the UofM Wolverines in a super Big 10 football match up. Ticket sales are maxed out so if youre like me, and just want to catch the game and grab a bite to eat, Greater Lansing has a number of bar and grills that are catering to both Spartan and Wolverine fans alike. Its always more fun to cheer on your team in a crowd and surrounding yourself with avid fans is definitely the way to go, especially when you aren&apos;t at the stadium. Top of the list for me would be Spartan Hall of Fame. With its green and white dcor and MSU memorabilia, its a sure-fire place for all Spartan fans to feel right at home. Any of the local watering holes right in East Lansing will also be geared up for Saturdays game. Crunchys is one of my favorites with its buckets of beer and buckets of burgers. And their selection of craft beers is fabulous. Or you can try out the new HopCat in East Lansing. But remember to get your seats early. East Lansing fills up fast on game day. Both Renos East and Renos West are great sports bars. I guarantee there will be lots of yelling and some friendly ribbing going on when the game begins. Maybe Ill be able to sneak a peek at the Breeders Cup horse races as well since they have plenty of screens up and running. Pizza House has multiple big screens, party-sized tables and enough space for a big crowd. They&apos;ve got yummy pizza and I like that theyre located right in Hannah Plaza adjacent to campus and close to the action. Theres always Lou & Harrys on the north side up on Chandler Road or for a change of pace, take in the game at one of the bowling alleys. City Limits in Mason and out Saginaw Rd. in East Lansing or the Grand River Bar and Grill at Spare Time Entertainment Center all have a nice bar with TVs. Wherever you end up, the game promises to be a good one. And although I wont be in the stands, Ill get to see the replays, hear the commentary, be warm and dry and still be able cheer with the crowds. Go Green!